Think investing is only for the wealthy? Think again. Think you’re behind and can’t catch up? No way. The fact is investing is available to everyone, no matter your budget, your age or your experience level. With a little bit of basic knowledge and the help of some tools, you can start investing before you even finish this article! First, let’s explore some of the strategy behind investing and what you need to know before you take the plunge. Why Should I Start Investing? By definition, investing is the practice of contributing money to something with the expectation of returning a profit over a window of time. While how much, where and how long you invest your money can vary greatly, you can probably guess some of these motivators that prompt you to start investing. “Free” Money: Compound interest makes your money work for you. What does that mean? While a return is never guaranteed, there are many low-risk investment options where, if left alone, over time will continue to compound on the initial investment. For example, you invest $100 into an independent retirement account. That IRA earned a 10% return last year, bringing your balance to $110. The following year, you had some financial emergencies and weren’t able to contribute any additional funds. You earned another 10% from your new balance of $110 (not just the $100 balance from the previous year) so now your balance is even bigger because it compounded off of your initial investment. Now you’ve made a total of $21 and didn’t have to lift a finger — imagine how big it can get if you top it off with additional funds annually and let those compound for 20 years! Diversification: You may have heard the phrase “diversify your portfolio.” It’s how financial experts recommend that you don’t put all your eggs in one basket. For example, if you have all your investments in real estate and the housing market crashes, there isn’t a safety net to protect you, and you risk losing your entire investment. However, if you sprinkle those funds across the stock market, a savings account and the real estate market, it will help keep your investment portfolio much more even keel when the market fluctuates. Retire Comfortably: Many people invest as a method to save for the future. While you may be siphoning off some money for retirement savings every paycheck, investing makes a better use of it by increasing what you put in (see “free” money) and protects you in case of any big swings in the market (see diversification). There are so many different types of investments and methods for doing so, we won’t be able to address them all in this post. 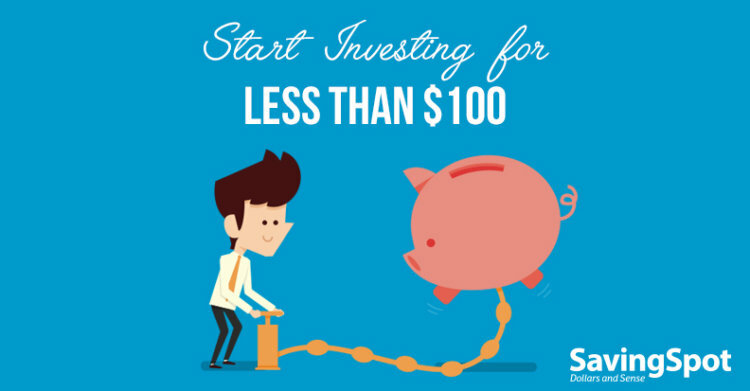 If you need guidance and only have $100 or less to start, one of the quickest and easiest ways to kick off for financial future is through microinvesting. Microinvesting is the practice of investing, but in small, manageable increments, allowing even the smallest of budgets to fit in some investing for the future. This method of investing is most accessible through apps. Each one is easy to use and most importantly, does not take any specific knowledge of the stock market to maintain. 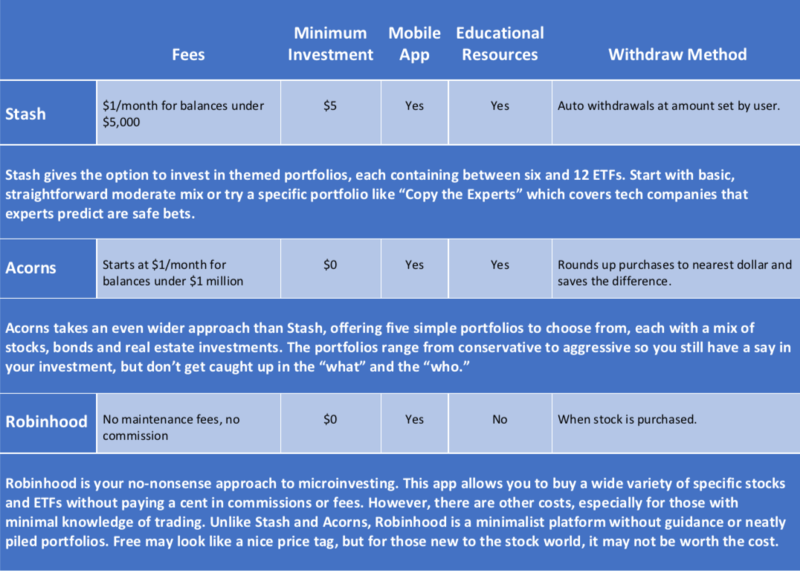 These apps let you automatically invest small amounts of money into portfolios that are already built out for you, making the decision-making aspect of investing straightforward and simple to wrap your head around. If you prefer a completely hands-off approach to investing, you may also be interested in these slow and steady methods for saving, including traditional and Roth IRAs, variable annuities and more. IRA’s are great for someone looking to invest purely as a form for growing wealth in retirement. Investing and saving, even on a big budget, can be challenging. No matter what your budget size, it’s good to know what to do with it when you have it. Did you know that CashNetUSA offers customers access to educational modules so you can learn just that? 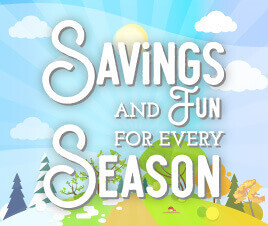 Visit our What We Offer page to find out how to take control of your finances through these modules and online tools. CashNetUSA does not endorse or advocate and cannot attest to the success of these products as described. Try these tools at your own risk.